The strangest gift my fiancée gave me. 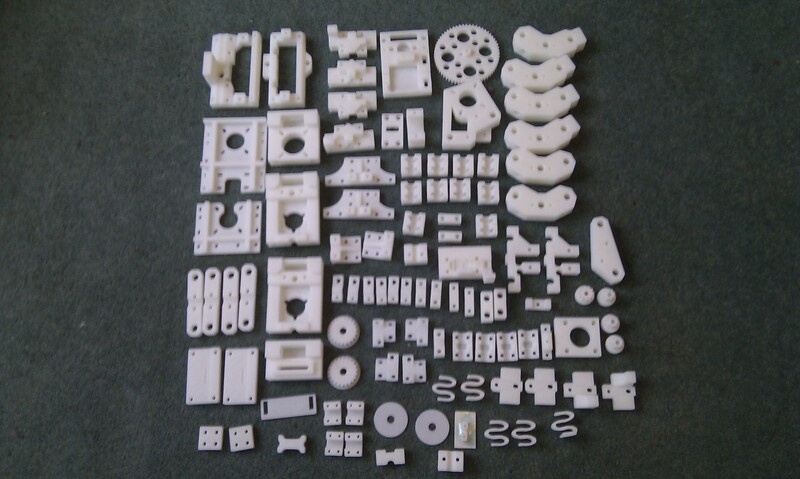 …yes its all the parts needed to build my own Mendel 3D printer! I am really excited about putting them together thanks Joey for such a great gift, how did you know? Shortly after receiving my gift I dismantled OverlapStrap. 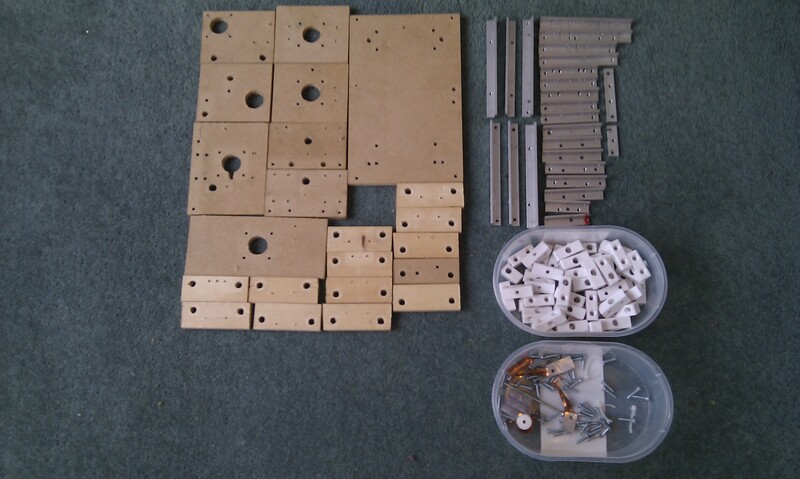 I was supprised that the sum of the assembled parts seemed so much more than the 22 bits of MDF 25 bits of aluminium angle and the box full of fixit blocks. OverlapStrap was by necessity a much simpler design than Mendel. So maybe there is something to be learned from this, although I think designs like the one Josef Prusa has designed and built are even simpler still! I think I’ll hack my wife’s Firefox and make this post the start page. Previous Previous post: Giving up to make progress?